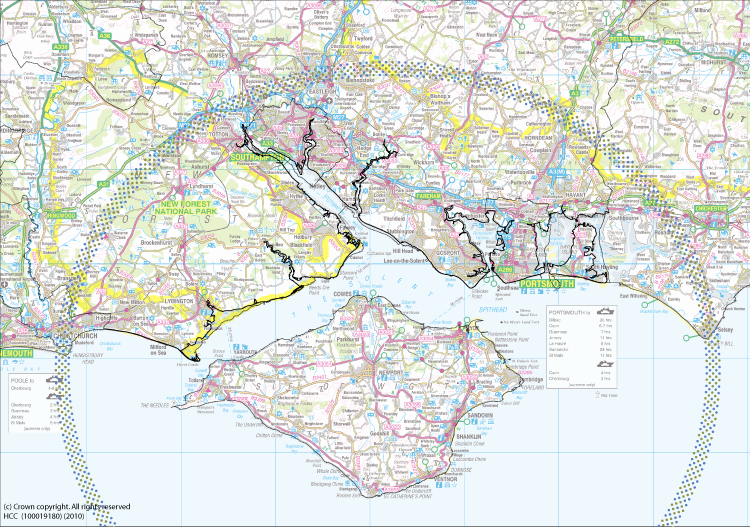 The Solent Forum boundary covers all issues that are likely to materially affect the Solent either manmade or natural. It has no definitive boundary and will look at both offshore and land based activities if they impact on the Solent. A geographic east to west boundary has been set to work in partnership with neighbouring coastal fora and organisations. To the west the Solent Forum boundary ends at Chewton Bunny, west of this issues are covered by the Dorset Coast Forum. In the east the Forum's boundary ends at Selsey Bill. Please look at our aims and objectives for more information on the work that the Forum undertakes.